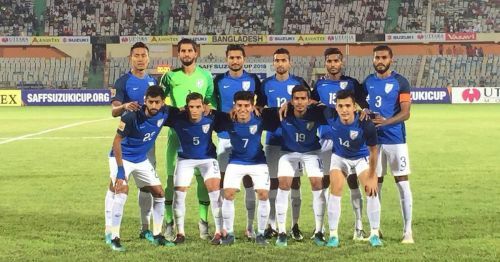 The Indian team lost 1-2 against the Maldives in the SAFF Cup 2018 final. Maldives scored in each half while the Indians just managed to get a consolation goal in the extra time of the second half. Indians, as expected, were the better side of the two in the initial phase of the match until the Maldives scored against the run of the game in the 19th minute. India came close to equalizing but their attackers were not clinical enough. On the half-hour mark, Ashique delivered a low cross from the left flank directed to Farukh who was not able to take the opportunity well. Such misses were a constant in the summit clash. Manvir Singh also missed a golden opportunity. Maldives doubled their lead in the 68th minute. Sumeet Passi added some much-needed excitement for the spectators when he scored in the injury time of second half but it was a bit too late for the Indians to deny the result. Here we take a look at three major mistakes which the Indian team made. Maldives had reached the semi-finals after some luck and a coin toss against Sri Lanka, but no one can deny their hunger in the final. The Indian team should have taken note of the 3-0 victory Maldives got against Nepal, but it failed to do so and never really got going in the final. 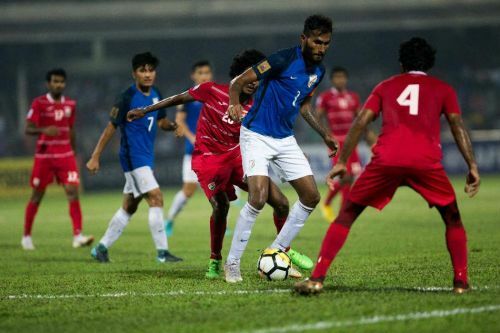 Manvir Singh, the FC Goa forward was India's highest scorer in the SAFF Cup, but the Indian team failed to provide him the service which could have given tough times to the Maldivian defence. Ashique Kuruniyan’s two assists against Pakistan should have made the team direct their attacks through him but the majority of the attacks flew from Nikhil Poojary on the right who had an average game. Lallinzuala Chhangte’s absence through a red card in the semifinal also hampered India's hunger in the final and the lack of hunger made the team pay in the end.